“I wouldn’t wish last year on anybody,” says Droga5 founder and Creative Chairman David Droga. Indeed, in early 2018, the anonymous Diet Madison Avenue account accused his agency’s New York Chief Creative Officer Ted Royer of misconduct. After an internal investigation, Royer was fired. While the specific circumstances never came to light, the 12-year-old agency suffered a huge hit—creatively and culturally. Soon after, Droga5 parted ways with major clients such as Pizza Hut and Ancestry, contributing to a 30 percent business loss in the first quarter and its first year ever of revenue decline. Its incisive campaign for The New York Times, “The Truth Is Hard,” is a potent defense of real news in the fake news era. It launched at the Oscars in 2017 and continued last year with spots around the theme “The Truth Is Worth It.” Illustrating the doggedness of the paper’s reporters, they delivered the drama of films like “All the Presidents’ Men” in a span of seconds. “[The campaign] helped the Times ... have confidence in the role that marketing can play,” says Times Chief Marketing Officer David Rubin. The agency’s flair for ideas with impact also was evident in its campaign for UNESCO that united publications across the political spectrum in support of World Press Freedom Day, and an initiative for the Ad Council that sought to introduce the term “Family Fire” into the vernacular to help curb gun violence tied to weapons in the home. There were also headline-grabbing moves. The shop got people talking about Philadelphia Cream Cheese when it got Apple and the Unicode Consortium to update the naked bagel emoji to one with a smear. And it orchestrated the faux return of the Crocodile Dundee franchise with stars Danny McBride and Chris Hemsworth. It turned out to be a Super Bowl stunt promoting Tourism Australia—an effort that earned multiple Cannes Lions in 2018, including a Titanium award. And then came “IHOb,” which transformed the International House of Pancakes into the International House of Burgers to remind people it has burgers, too. It garnered 1.2 million tweets in the first 10 days of launch and, in total, 42.5 billion impressions, equivalent to more than $113 million in earned media value, according to IHOP. Yes, a goofy, clickbait-y move—but one driven by sound strategy. “They’re very objective and clear-minded about the results,” says IHOP CMO Brad Haley. Those results: In the weeks following the campaign’s launch, IHOP says burger sales quadrupled and today remain at double what they were before the campaign. For Hennessy, the agency crafted a spot highlighting undersung African-American cycling pioneer Marshall “Major” Taylor. Serena Williams channeled LL Cool J (via lyrics) and took on tennis and motherhood in an ad for Chase. An escape room for Prudential, of all brands, challenged young people to get out of their parents’ basements, and makeup shades were the basis of a fun, intimate conversation among Issa Rae and friends in a CoverGirl ad. 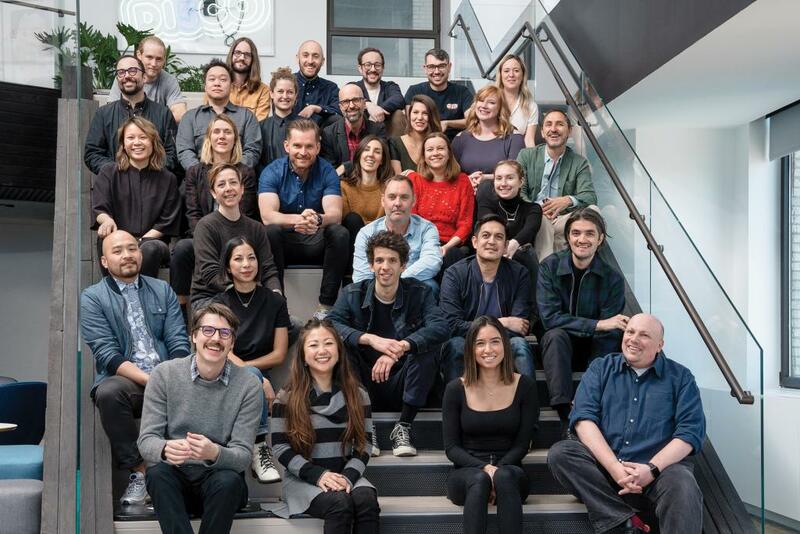 Droga5 leaders credit the agency’s 600-plus strong talent pool for the momentum. Executive Creative Director Neil Heymann stepped up to the chief creative post last May, and backing him up is a diverse bench of creative directors. The trials of early 2018 also realigned the agency’s thinking on new business. “We actively went for companies whose best days [are] ahead of them,” says Droga. In addition to Kraft Heinz brand Philadelphia Cream Cheese and Kraft Mac & Cheese coming on board, the agency added more responsibilities for Google and new clients such as supplement brand Thorne, electric-vehicle startup Rivian, water brand Essentia and HBO (leading to the brand’s “Game of Thrones” Super Bowl tie-up with Bud Light this year). By year’s end, the agency added more than 18 new brand relationships, amounting to $33 million in additional revenue. And in its most surprising move, Droga5 this month agreed to be acquired by Accenture Interactive, a move the companies say will change the ad landscape by infusing creative firepower into a massive consultancy.